“Femme, verschillende lagen transparante olieverf met lijnen van houtskool en olieverf op canvasboard in baklijst, 40 x 30 cm. “We have chosen a portrait of the year; this time it is this painting by Mieke Robben. Sharp lines and subtle colors make an unforgettable and sensual combination. The artwork carries a simple title “A Woman”. 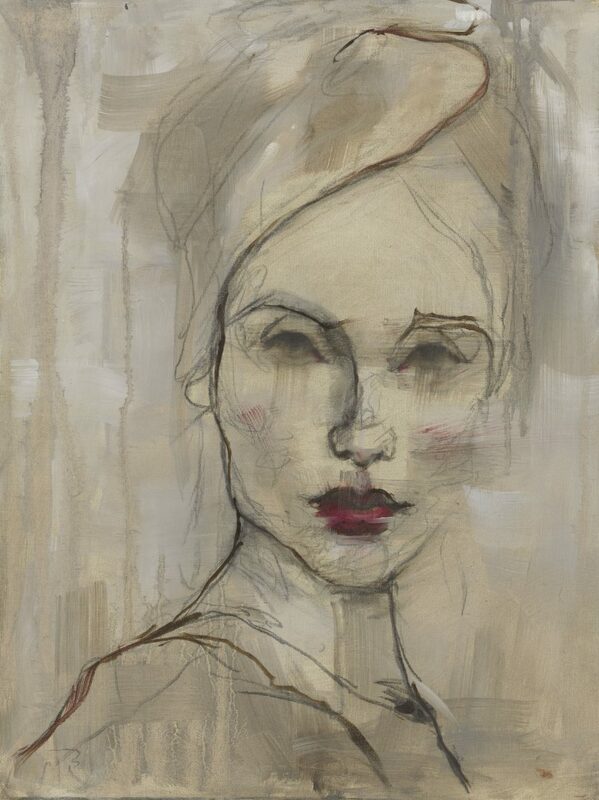 New Place Art Gallery has been exhibiting portraits of Mieke Robben since 2013.